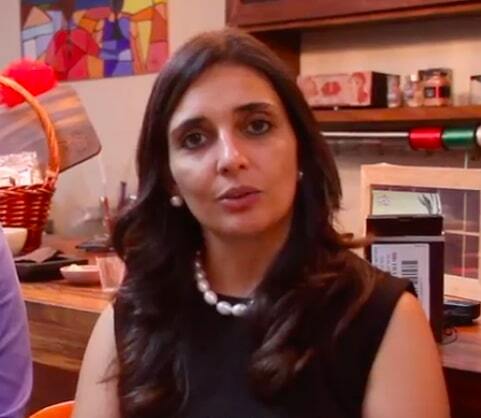 Eva Callejas, Co-Founder of Luna Gourmet, Honduras. Honduras is one of the poorest countries in the Western Hemisphere, with about 65 percent of the population living in poverty. The 2009 coup d’état created an atmosphere of uncertainty, which resulted in a virtual halt in international and domestic investments. It took years before the Honduran economy saw a modest recovery from the effects of the economic crisis. In 2015, Eva Callejas and René Vallejo, amongst a challenging market and no government incentives for small businesses, opened Luna Gourmet. Luna Gourmet has become a platform to empower and support other local small businesses that sell “Honduran Made Products” both domestically and abroad. Please tell me a bit about Luna Gourmet. We started with an idea for a business approximately two years and two months ago geared toward commercializing high quality products: national and imported. The imported products come from all around the world. The national products are from local artisans that produce high quality products. What has been one of the challenges building the business? The obstacles we have faced in opening the business are numerous. There is no incentive from the government to start small businesses. The taxes are very high. It’s the same amount for all companies regardless of size. There is no governmental support towards the development of small businesses, for example there are no tax breaks in purchasing needed machinery. Luna Gourmet carries products from Honduran artisans. From crafts to find foods. How do you support other local businesses? Each day we are receiving local products made by artisans. It is a second source of income for their families. Despite all the challenges, the artisans keep a high standard of quality in their products. Honduras has been given help from the international community, for example gaining more knowledge in the development of products such as: chocolates, cacao, and bottled goods. I consider it to be a small industry that is growing with products of high quality. Many of our clients admire our hard work each day. They also admire our effort because it is difficult to be a small business owner in our country. We have been working with predominately businesswomen for a long time now. Over time, we have seen these women better their lives with these small businesses. To have the opportunity to commercialize their products is what drives us and propels us to continue. Thank you to Studio & Cine and Ian Mayta.